I have no good reason to invest in high-end swizzle sticks, or swizzle sticks in general for that matter. However, I am going to try to find a good reason very quickly as I have fallen in love with the Monkey and Palm Swizzle Stick from Patrick Mavros. I love the whole monkey motif – were he wearing a fez there would be no question – I would have three in my collection already. I have to say I love these guys and many of Patrick Mavros’ other extraordinary silver sculptures. I also love the ‘See No Evil, Hear No Evil, Speak No Evil’ set of monkey spoons. See all of the silver sculptures of Patrick Mavros here. FOUND: The Zebra Hide Towel from Maslin and Co. When I was a kid one of my little neighborhood friend’s parents had designed the coolest family room ever. It was a big open modern space furnished with funky Scandinavian-inspired pieces. The centerpiece of the room was a zebra hide rug. This was a real zebra hide and I was fascinated by it. Although it was on the floor, we were not allowed to step on it – just look at it and when no one was looking, stroke the mane or the fur that was smooth one direction and coarse the other. I was reminded of this little gem recently when I came across this Zebra Hide Towel from Maslin and Co. 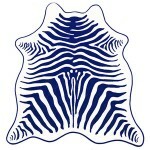 Which is described as: “Deluxe zebra hide-shaped beach towel, crafted in 100% cotton. 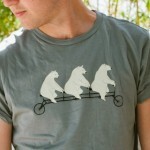 Design is reversible with 100% cotton trimmed edges and measures 54” wide x 70” tall. Finished with leather holster.” They had me at holster! Seriously this zebra towel is so cool and different. 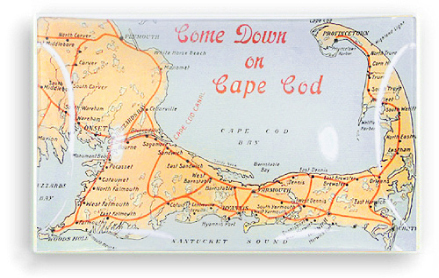 I bet I would be the only one who shows up later this summer at my annual beach-side vacation on Cape Cod with one of these. But then again, one of my traveling companions does fancy animal prints. Find the Zebra Hide Towel and all the products of Maslin and Co. here. 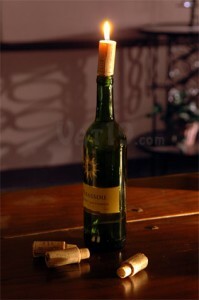 I found these Wine Cork Candles from Vat19 (“purveyors of curiously awesome products“). These Cork Candles are a very simple idea that can add some fun to a summer dinner party table. Find the Wine Cork Candles and other fun “curiously awesome” products from Vat19 here. I fancy having an old-school English garden party some day. 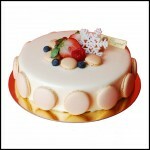 I would have a tent, little café tables, teas and treats, and Pressés from Belvoir Fruit Farms. Belvoir Fruit Farms makes specialty drinks, basically enhanced spring water, but something well beyond what you may think of as flavored water or juice. As someone who does not enjoy wine with dinner, I think the products of Belvoir Fruit Farms may be a nice alternative for a dinner party – and would make a nice hostess gift. Now only if I can find a local distributor. 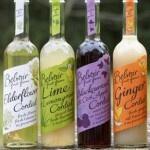 See all the Cordials, Pressés and Fruit Crushes of Belvoir Fruit Farms here. I love matches. Don’t worry, I am not a pyro or anything, but I just love using old school wooden matches to light candles and fires. I just love the sound of a match striking and the initial smell of the wood burning. I am always on the lookout for new and different matches and I think I hit the jackpot with this really cool Wooden Matches Block from FitzSu. 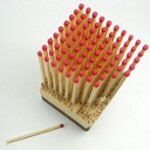 I love this simple idea of a block of matches – almost a reinvention of the whole idea of wooden matches. I love the look of this block too – almost too good to use. 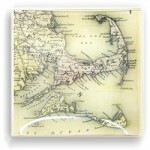 The Wooden Matches Block will look great sitting on the mantel on its own and makes a nice gift. See the Wooden Matches Block from all the great products of FitzSu here. I have mentioned before how I love visiting my friend Lynda and her husband’s home. The have a lovely spot on a pond and it is so pretty and peaceful. Every now and then they ask me to house- and dog-sit and I jump at the opportunity – especially in the summer, when I can really enjoy the setting. One of my favorite things to do is to lounge in the hammock they have set up in a clearing near the shore of the pond. I love sitting out there as the sun sets and well into the night listening to the sounds of nature, looking at the stars and maybe enjoying a spot of bourbon and a cigar. The thought of this lovely setting has me thinking about getting a hammock of my own for the New Hampshire manse. I think I may have found the perfect place to look – The Hammock Company. The Hammock Company has a ton of hammocks in every imaginable form and price point. However, my inner Gilligan fancies the Classic Rope Hammock. Just add cigars and bourbon. See the Classic Rope Hammocks and all the products of The Hammock Company here. FOUND: The inspired jewelry of Where’s Romeo! You may have noticed that aside from watches, you haven’t really seen too many posts about jewelry here on Lost Cowboy. This is mostly due to the fact that I know very little about jewelry and leave it to others to alert you to great finds in that world. However, every now and then I see jewelry and related items that cross my path which I find interesting. Such is the case with Where’s Romeo. 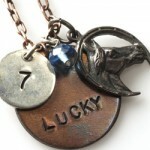 I like things that are eclectic and bring pieces together that otherwise would seem strange, like Where’s Romeo’s Lucky 7 – the type of charm jewelry that I fancy I would make if I were ever to make jewelry. Check out all the inspired jewelry designs of Where’s Romeo here. Lost Cowboy is powered by	WordPress 5.0.4 and delivered to you in 1.040 seconds using 76 queries.